Complete XCR-L Key Mod Upper Receiver factory cerakoted in FDE. Pulled from a very slight used XCR rifle. 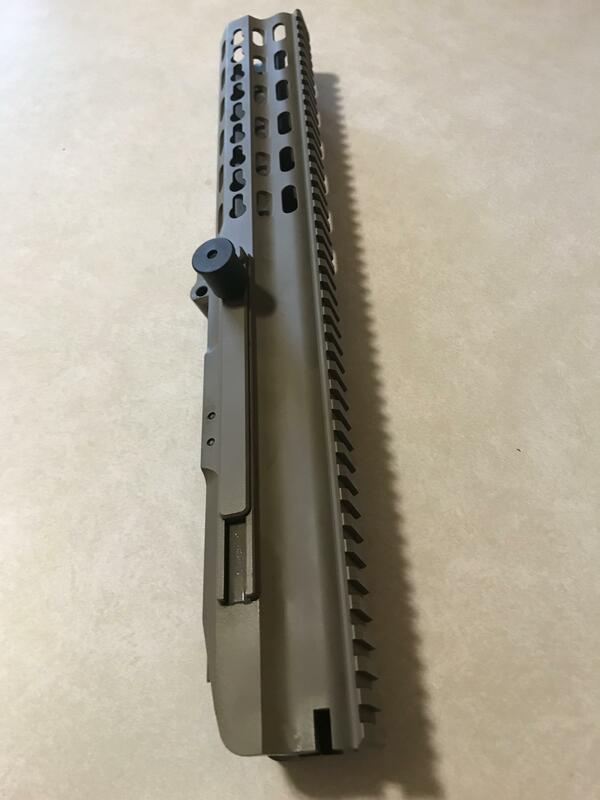 Can also put a early gen lite weight 16" 5.56 barrel with upgraded Type 1 gas block for an additional $300. Last edited by arguy; Today at 07:49 AM. Standard length? Interested in any trades? It is standard length. XCR short barrels are on the top of the list for an XCR SBR.